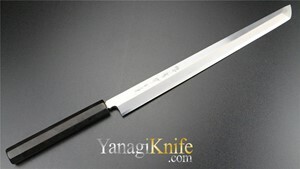 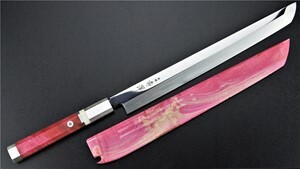 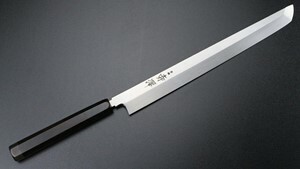 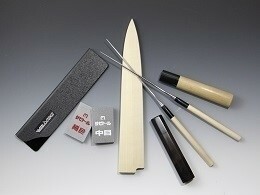 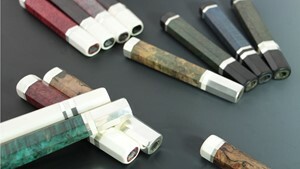 The Sakimaru knife is a variation of the Yanagiba knife and Takohiki knife that is used for much the same purposes, such as for clean and precise sushi and sashimi cuts. 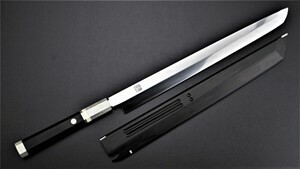 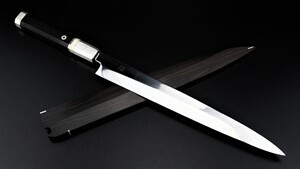 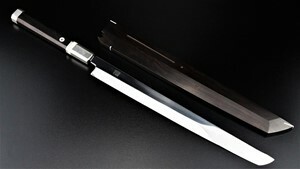 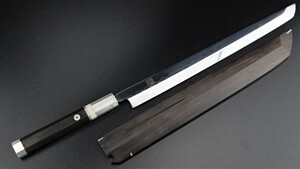 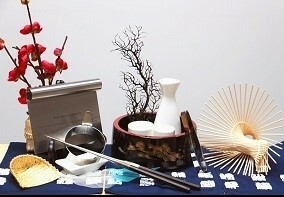 The Sakimaru, however, differs by its tip, which looks similar to that of a Katana – the traditional Japanese samurai sword. 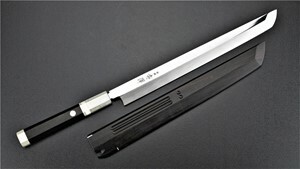 Although the Sakimaru's function and effectiveness is similar to that of the Yanagiba and Takohiki, it is a more stylish variant of the two and makes a louder statement.